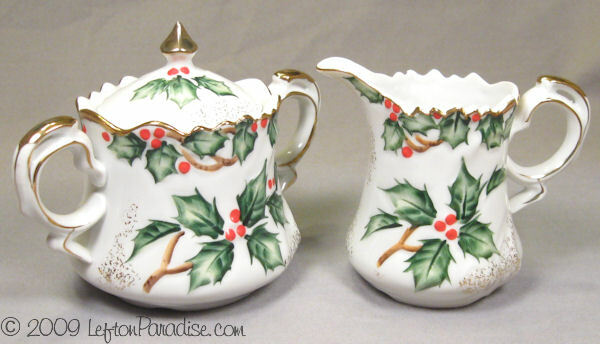 Creamer and Sugar set in Holly Garland pattern, Item NE1965 - Lefton Discounts Apply ! 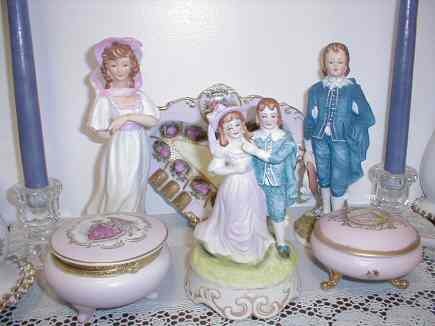 A flawless, gorgeous, creamer and sugar set! 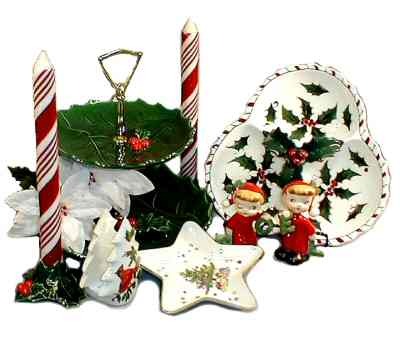 The pattern is Lefton's Holly Garland pattern from 1959. It has Lefton marks and the remnants of the original Lefton stickers on the bottoms. 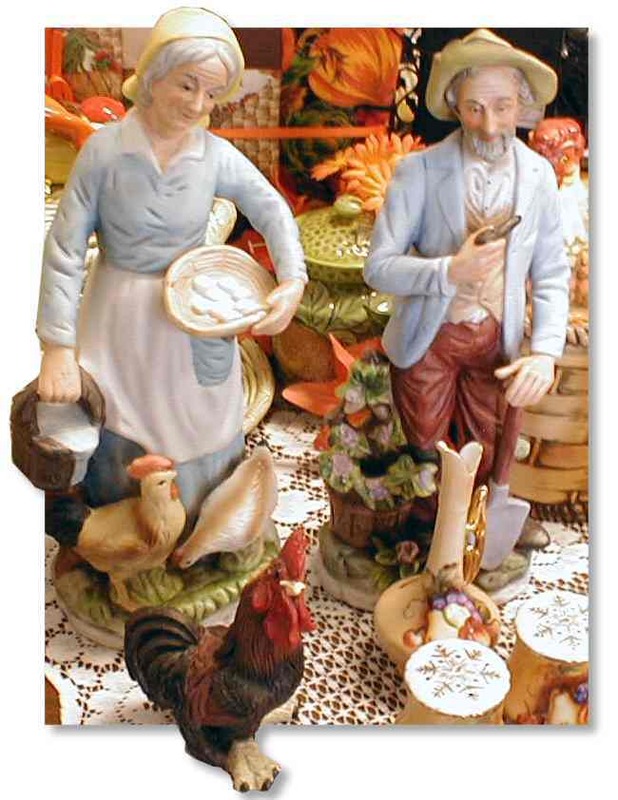 The creamer measures 4½ inches wide, 3¾ inches tall; the sugar bowl is 5½ wide and 4½ tall. There are no cracks or chips.